Within Vetro Nursing, we have a specialist Registered Nursing division that provides temporary and permanent staffing solutions to NHS hospitals and private healthcare providers. We have positions available in hospitals, residential care homes, nursing homes, community settings and NHS provisioning. Working with Vetro Nursing you will be supported by our Nursing Divisional Manager Sarah Campbell (RMN), and our registered Manager Julie Connick (RGN RSCN). 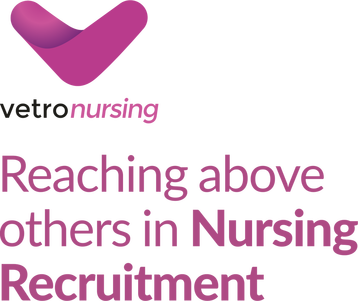 They understand the challenges and complexities of the job which makes them ideally placed to help you find your ideal role in the Nursing arena. We are always looking for hard-working, reliable and committed RN's and RGN's to join the Vetro Nursing team. Follow us on Facebook, Twitter & LinkedIn for our latest RGN jobs, blogs & industry-specific news. Visit our blog for the latest Health news, views and sector updates.